We're at the midway point of the latest Humble Mobile Bundle, and that means it's time for new games to be added. 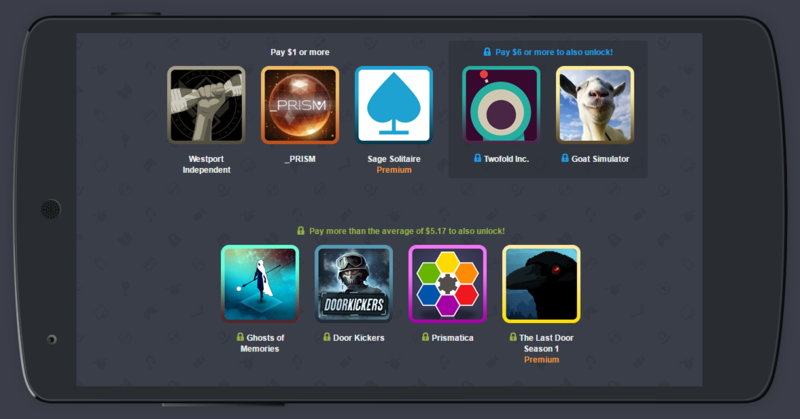 Humble Mobile Bundle 21 now comes with nine games total. The new arrivals are The Last Door and Prismatica. If you want a chance at winning the whole bundle free, read on. The newly added games are in the second tier, meaning you'll unlock them if you pay above the average price. As of right now, that stands at $5.17. If you bought the bundle previously, the new games will be available in your account now as well. For those of you who haven't bought the bundle yet, you've got a chance to win the whole thing. This contest is now over. The final results are listed below. If you've won, you will be contacted in the near future. Congratulations! To win one of 10 free codes for the full Humble Mobile Bundle 21, just leave a comment below. We'll select the winners tomorrow, October 18th. Good luck!